English merchant, patron of arts. He was the owner of the distillery production, far exceeding in its scope all others in the Kingdom of England, and was distinguished by outstanding commercial knowledge and enterprise. Bout glorified his name with the generous support of the second expedition of John Ross in order to open the Northwest Passage, carried out during 1829–1833. Prior to this, such expeditions willingly equipped the British government, but the constant failures led to the cessation of state funding. John Ross’s failure of his first voyage in 1818, when he took the mirage for a mountain range, and declared that there was no way out to the west of the Baffin Sea. He proposed to organize a new expedition, but the Admiralty did not support him. Ross appropriated £ 3,000, but this was not enough. Then he turned to Bout, knowing about his interest in the Arctic discoveries. Ross promised him to pay out of the prize money of 20 thousand pounds sterling, appointed by the government to the one who opens the Northwest Passage. Booth rejected the offer, calling it commercial. Ross's last hopes collapsed after the government canceled the prize. However, it turned out that this prize was the main reason for the refusal of Bout. He immediately allocated 18 thousand pounds, putting the only condition - his name will not be mentioned in connection with the organization of this expedition. As you know, Ross had to spend four winterings in swimming, but he did not achieve the desired goal. Nevertheless, this expedition was of great importance for the study of the geography of the region. The expedition’s nephew of John Ross, James Ross, discovered the magnetic north pole. 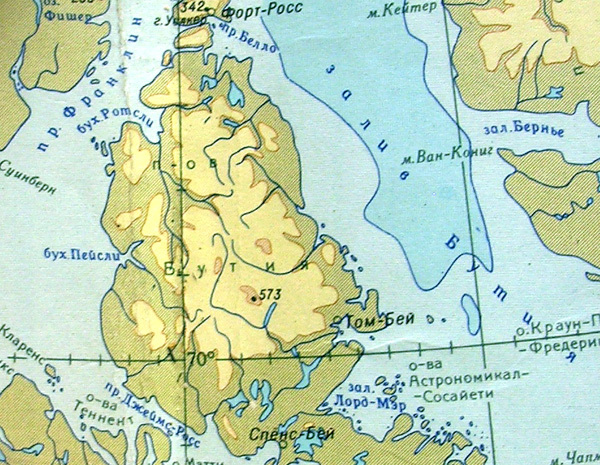 Grateful John Ross immortalized the name of Bout on the map of the American Arctic, calling after him a large peninsula and a bay. After the expedition, Ross Booth was granted the title of baronet. He died in Brighton, Sussex, England. Peninsula (Butiya) in the north of the North American continent west of Baffin Earth. Discovered by James Ross and named John Ross in 1830. Isthmus (Butiya) in the south of the peninsula Butiya. 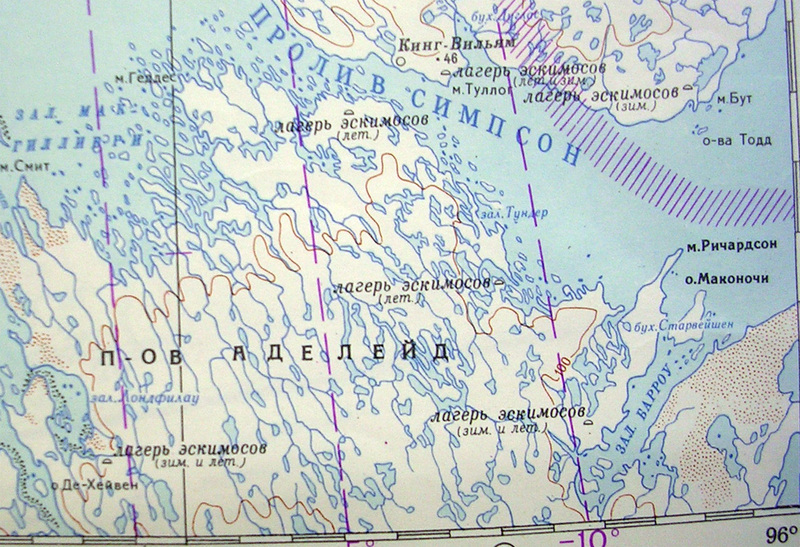 Islands west of the Parry Peninsula in the Beaufort Sea. 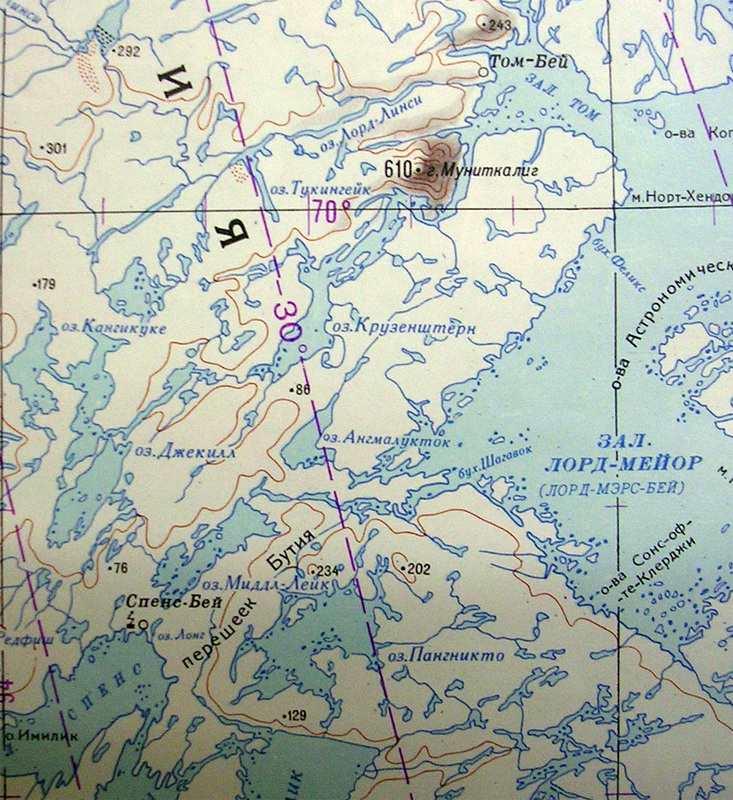 The island among the islands of Buta west of the Parry Peninsula in the Beaufort Sea. 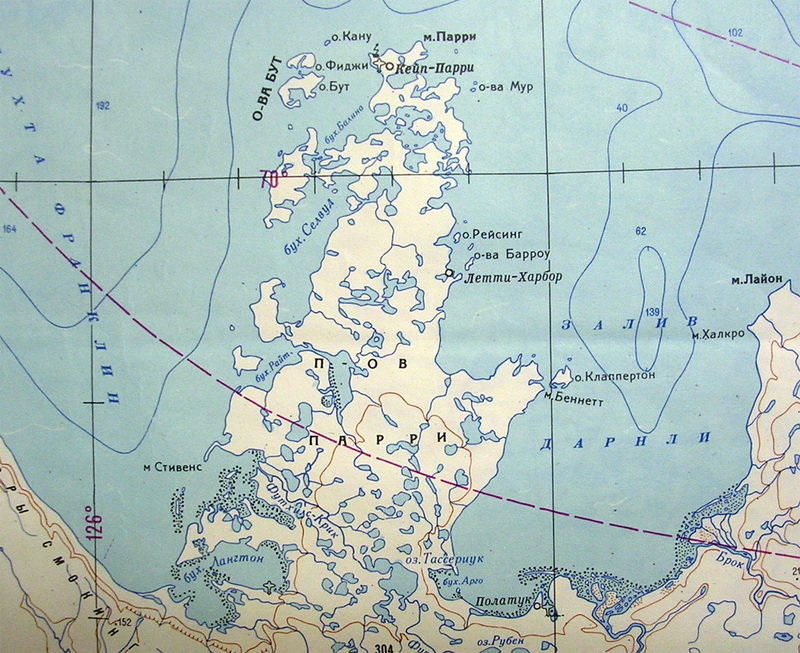 Cape in the south of King William Island in the Canadian Arctic Archipelago. Bay (Boothia) on the eastern coast of the peninsula of the same name. Discovered by James Ross and named John Ross in 1830.